Valentina Lara, is the president of BOLD!, FIU’s student-run communications agency. The agency gives students the opportunity to work as account executives or on different teams with real-world clients. Whether you are a creative, social media maven, marketing, advertising, journalism or public relations major, club members are challenged to learn and grow within the communications industry. 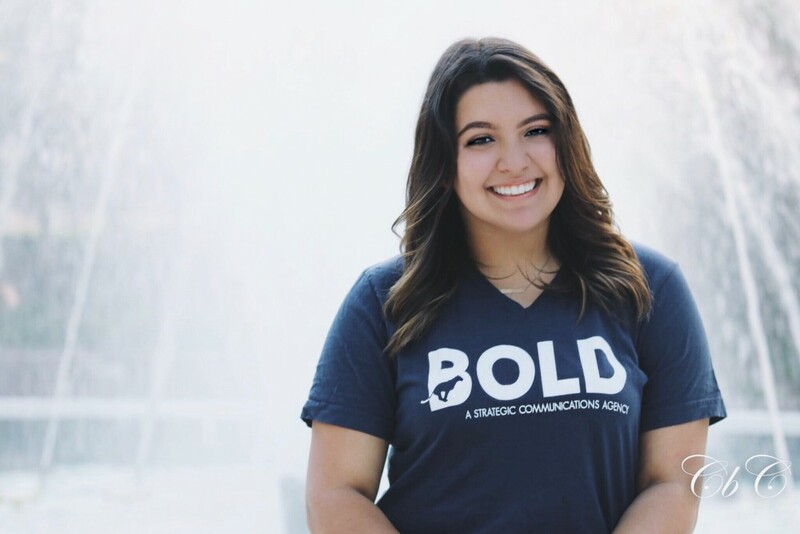 FIU News sat down with Lara to learn more about BOLD, and how she became a student leader. I am majoring in public relations. My passion for writing and people skills led me to decide to study PR. Although I didn’t know exactly what I wanted to do when I first started studying (at FIU), I knew that with my strong people skills, combined with my passion and determination to network and be involved within the industry, PR was the perfect career path for me. What inspired you to get involved at FIU? I was born in Barranquilla, Colombia, and moved to Miami as a toddler. Attending FIU motivated me to get involved on campus and within Miami’s communication industry. I got this internship my freshman year and have been working within the industry ever since. I decided to specifically get involved with BOLD! because I loved the idea of growing my network and meeting students who were also passionate about the industry. How has your major helped you in your involvements? As a PR major, I push myself to get out of my comfort zone. This helped push me toward joining a club like BOLD!. Have there been any professors/staff members that have solidified your decision to pursue your major and/or involvements? My mentor and BOLD! Advertising Director has helped me with my professional and collegiate career. From advice on press releases and creative workshops to helping me connect with potential internships, Lily has pushed me to be the best communications PR professional I can be. What piece of advice would you give freshmen who are deciding what career path to follow? It’s okay not to know right away. Sometimes it takes feeling completely lost to truly find your passion. Even as a senior, I’m still not sure about my definite plans after graduation, but I do know that I love PR, and I have the dedication and ambition to make an impact in the field. Get involved in whatever way you can – whether it’s a club, internship or mentor program. If you decide you want to work in the communication industry but aren’t sure exactly what to do, apply to different internships. Interning is the perfect opportunity to get to know what you like and don’t like. Never be afraid to ask questions and network with professionals who are already in the field!